A 41-year-old man has been charged with the murder of Rachel Nickell on Wimbledon Common. Ms Nickell, 23, was stabbed 49 times and sexually assaulted in the attack in south-west London while she walked with her young son on 15 July 1992. Robert Napper will appear at City of Westminster Magistrates' Court on 4 December. 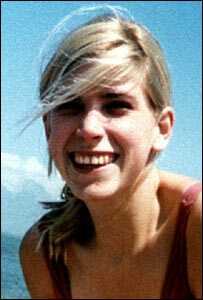 Colin Stagg, from Roehampton, west London, was prosecuted for the murder, but cleared in 1994. A judge threw the case out on the grounds police had used a "honey trap" plot to encourage him to confess. The decision to charge Mr Napper follows a review of the evidence by police and the Crown Prosecution Service (CPS) into the former model's killing. Hilary Bradfield, of the CPS Serious Casework Unit, said: "As the investigation has developed, I have been carefully examining and assessing the evidence. "It has been a painstaking process and alongside the police we have considered all aspects of the case in detail. "This week we have reached a decision that there is sufficient evidence for a realistic prospect of conviction and have authorised the police to charge." A Metropolitan Police spokesman said: "Robert Napper, 41, has been charged with the murder of Rachel Nickell on Wimbledon Common on July 15 1992." Mr Napper is being held in custody at Broadmoor Hospital.